Sadly we have been saying what feels like many a farewell to a number of our experienced leaders recently as they venture off to enjoy their well-earned retirement. However, as we welcome the change in seasons and the budding beauty of spring gently lifts our spirits and gives us a sense of renewed energy, the legacies and teams our colleagues leave behind ensure we are equipped to carry on their great work. Each has played their part in making the NHS what it is: caring, compassionate, and focused on improving the lives of others. They have been inspired by, and I hope have felt empowered, to do the best for our patients. They include executive director of workforce and communications Jan Bloomfield; she has been at the heart of our workforce for 28 years, helping the trust to achieve incredible things and do all that we can to support our staff, volunteers and the hospital’s My WiSH charity. She has been central to the establishment of the ‘West Suffolk way’ and the fact that we take a real pride in doing the right thing in the right way; going the extra mile for our patients. 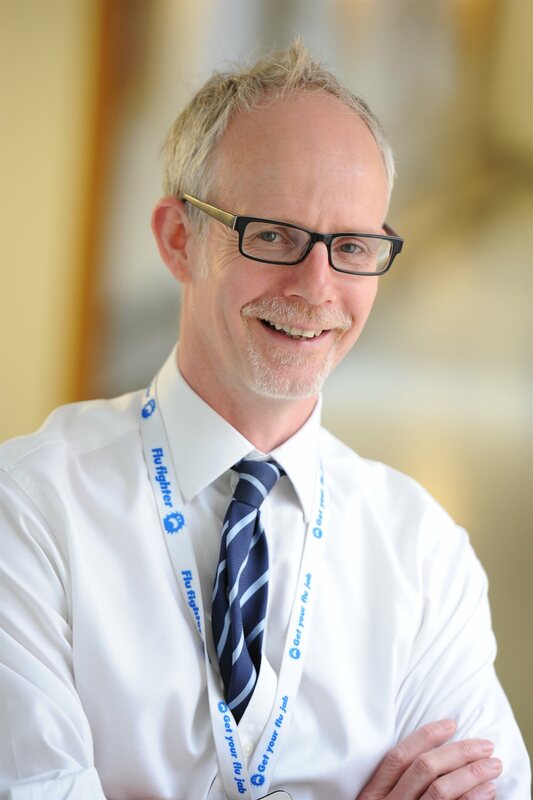 Consultant orthopaedic surgeon Matthew Porteous; he has been integral to the success of the orthopaedic department, particularly in developing trauma management, the fractured neck of femur service and hip and knee pathways. His clinical care, leadership, mentorship and innovation have seen best practice spread around the NHS. There are many more; critical care service manager Irene and critical care outreach team senior sister Naomi, sister in children’s outpatients Dawn, Jenny in our housekeeping team, sister Alison from our medical treatment unit, community midwife Karen Denman, and Lorraine working at Glastonbury Court. They have been dedicated to our Trust and patients over many years and so many people will have benefitted from their hard work. Their long service has helped us build up our reputation and their contribution to their local community should be celebrated. I thank them sincerely for everything they have done for our patients and community. I truly believe that everyone here at the Trust plays an essential role in driving forward our purpose to deliver the best quality and safest care for our community. To achieve this it is so important that we invest in, develop, nurture and motivate new leaders at every level and across the organisation to contribute and share knowledge and ideas about how we can be the best, make changes and improve. Building experienced and capable leaders of the future to ensure we are prepared when our colleagues leave or retire is fundamental. This is why as a Trust we implement a variety of leadership, management and staff development initiatives that support leadership behaviours essential for our success. The 5 O’clock club is the Trust’s regular leadership forum, where all staff are invited to attend; we welcome many leaders from both inside and outside of the healthcare sector to inspire, share their career progression journey and key things they have learned in the process. Our West Suffolk 2030 leaders programme is open to staff aspiring to leadership roles in the future. It provides dedicated workshops over a 12 month period and brings together a diverse range of colleagues to explore leadership and quality improvement. We also work closely with our partners Health Education England and the NHS Leadership Academy to open up learning opportunities that continue to improve our healthcare system and make things better for our patients. So, while we say a sad goodbye to many wonderful colleagues, we welcome many new faces and have many leaders in the wings ready to take up the mantel and carry on their great work. A happy retirement to them all, I’m excited to see our future leaders blossom in their wake.